Eyebrows can spice up your look instantly. But, when done wrong, eyebrows can make you look like a disaster. That’s why it’s important to look at the right people for eyebrow inspiration. From filling in your eyebrows to investing in organic microblading, here’s how you can rock the most famous eyebrows (as well as the Kardashian brows!) from some of the most famous people. How to achieve the look: Look, but don’t touch! It isn’t a “Best Brows” list without Cara Delevingne. This actress and supermodel has one of the most iconic set of eyebrows. In fact, many television hosts have interviewed her only about her brows. The secret to maintaining eyebrows as stunning as hers? In an interview with InStyle magazine, she shared, “I pluck a few, but I don’t shape them.” She also doesn’t let anyone touch her world-famous eyebrows! How to achieve the Kardashian brows: Microblading for ease! For a reality show, the Kardashians seem to have great eyebrows 24/7. You’d expect one of the sisters to have unglamorous brows at some point. So, how are they keeping up with their brow game? 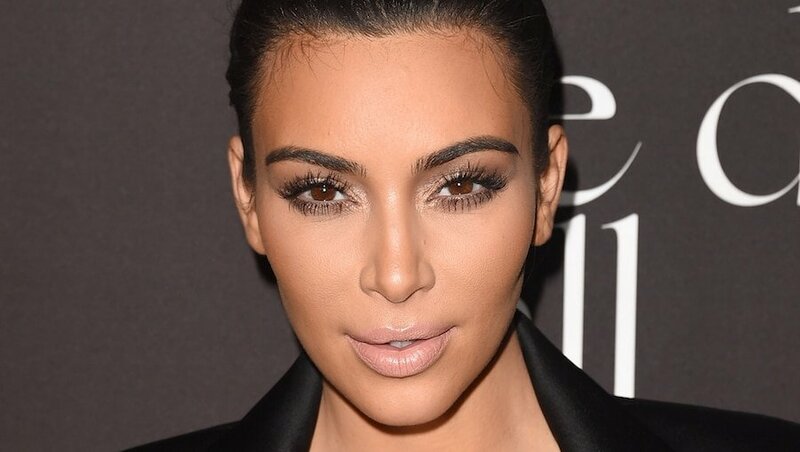 Turns out, Kim Kardashian’s eyebrow routine is pretty complicated. She starts by waxing and trimming excess hair before shaping the brow with some foundation. Then, she fills in the brow with pencil and some gel. Finally, she highlights under the brow. And who does her brows? No other than Anastasia Soare of Anastasia Beverly Hills. If the Kardashian brows routine is too complicated for you, you can always look for a microblading artist who specializes in organic microbladed eyebrows. Microblading eyebrows uses permanent makeup that gives you full brows that last for 2 – 5 years. The microblading session lasts around 20 – 50 minutes and costs $500 — a small price to pay for not having to deal with your brows every week! Schedule a microblading procedure with OPM today. If your eyebrows are as epic as Lily Collins’, they deserve their own Twitter account. That’s right, Lily has confirmed that the account @iamthebrows belongs to her brows. YouTubers like Tanya Burr have made tutorials on getting “Lily Collins Brows” but the best way to do it is by letting your brows grow for 2 – 3 weeks. When they’ve gotten thicker, use an eyebrow pencil or powder to fill in the top part of the brow. But, would you believe that she used to hate her dark, bold brows? In an interview with InStyle, she said she used to pluck them away because she felt insecure. Thankfully, she realized that her brows were what made her unique! “It’s the things that make you stand out that make you unique.” You go, girl! The Mother of Dragons can now add another equally enviable title to her long list of names. The Mother of Eyebrows has been a subject of curiosity many times for her expressive, thick, full eyebrows. In an interview with Stephen Colbert, she even showed off her impressive eyebrow wiggling skills. To achieve her look, focus on volume instead of shape. This means allowing your eyebrows to grow naturally. For emphasis, you can use eyebrow makeup like powders and pencils, but work toward achieving the look of ombre brows so that they look natural. Maintaining your brows takes a lot of effort, but having good brows instantly elevates your look. The trick is to let your brows grow naturally and work with what you have. Using eyebrow powders and pencils, you can achieve fuller brows that belong in this list. But, if you want brows on fleek 24/7 just like Kardashian brows, microblading is the way to go. It saves you time and energy, and gives you perfectly shaped and perfectly arched brows that last years.